If you earn your living in sales, this income-boosting guide is a must-read. 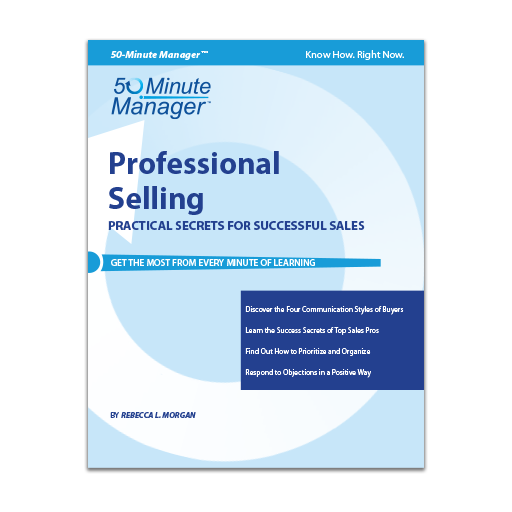 Practical exercises reveal the secrets of professional selling, including creative prospecting techniques, defrosting cold calls, strategizing and conducting successful face-to-face sales calls, and overcoming objections. It describes the attributes leading to sales success in a way that allows you to integrate them easily and comfortably into your own sales efforts. Sales Success: Do You Have What It Takes?